Elanee's Endeavors ! : Day 14~ Gratitude on the Run! Psalm 56 is a hymn of praise and trust, of confidence and strength, of worship and gratitude. This particular one was written in far less than ideal circumstances, however. 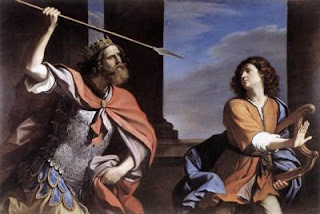 David was on the run from King Saul, and when spotted and seized by the Philistines in the city of Gath, he faked insanity to avoid being detained. 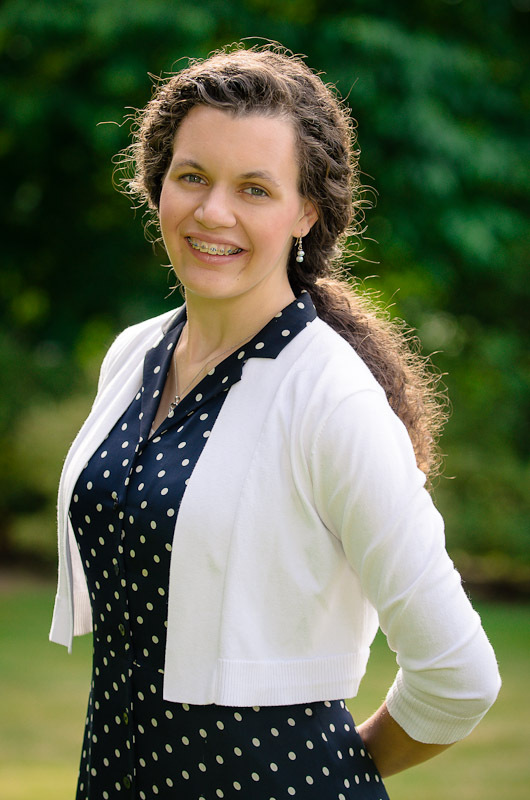 Yet in the midst of intense, frightening hardship, he submitted himself to the Lord’s protection, and found within this relationship the ability to say, “When I am afraid, I trust in you.... What can flesh do to me?” (vv. 3–4). He didn’t deny the reality of what was happening to him, but he found reason to be grateful even for his sorrows. Lord Jesus, will You open my eyes to see the joy that may be hidden under and behind the tough circumstances in life? You are always doing more than I can ever see or think or know— help me to trust You are working so I can see beyond my circumstances and find joy. Thank You! I've just recently been listening through the Bible in a dramatized format from Bible Gateway.com. I've really enjoyed how the Bible comes to life through the different narrators, and sound effects. It's almost like watching a movie without the moving image. I just finished listening to the books of 1&2 Samuel, and I found it very interesting to hear how many times David ran from Saul and how he reacted when Saul tried desperately to kill him. In all the afflictions, and hardships that David went through, he refused to speak evil of Saul, or to judge Saul for his evil intent against him. He kept his loyalty to Saul, and even when he had the chance to kill him, he maintained his loyalty, and wouldn't lift up his hand against the Lord's anointed. As I listened to these passages, I couldn't help but think of how easily I have been ungrateful and lifted up my hand against the Lord's anointed in my life. As a result I've missed chances to be loyal to the authorities in my life, and I have promoted an ungrateful spirit instead of humility. I realized how important it is to view the challenges in my life as gifts from God, and to use ALL of my efforts to maintain loyalty to my authorities no matter what the cost!